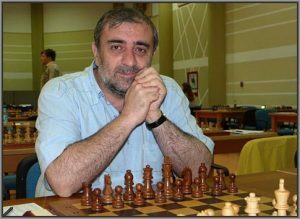 In honour of Armenian grandmaster Ashot Anastasian who died suddenly yesterday at age 52. All the examples are from his games. You can download the pgn here. Good luck! Black to play and crush! What is White’s strongest plan?